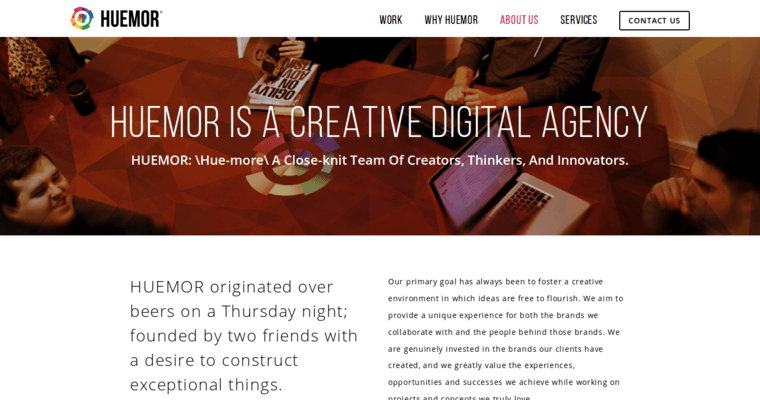 After having honed their expertise with lots of experience in web design in the bigger niche of online development, Huemor Designs has broken the mold in what it is to reach peak success in a passion-driven profession. Their endeavors are unstoppable and limitless, as the designers, programmers, and developers use their creative freedoms to expand upon the interwebs as a whole. Their web designs are guaranteed optimized on search engines and social media outlets. Huemor Designs caters to your target audiences, because, as a client, these techies have your best interests at heart. Your business is worth betterment by a famed firm.